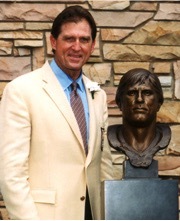 Regarded as the best defensive-end in Florida Gator football history, Jack Youngblood was named to the All-SEC Team of the Decade for the 1970’s. 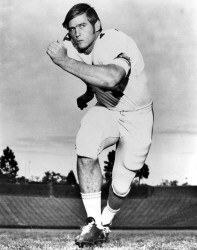 Following his final college season in 1971, the All-American played in the Senior Bowl game and was named the Most Outstanding Player in the contest. Jack is widely considered one of the best five players in the Gator’s history. In 1999, Youngblood was named to Gainesville Sun’s UF Team of the Century and was inducted into the program’s Ring of Honor the same year.